The South West’s most colourful 5k is back this summer! 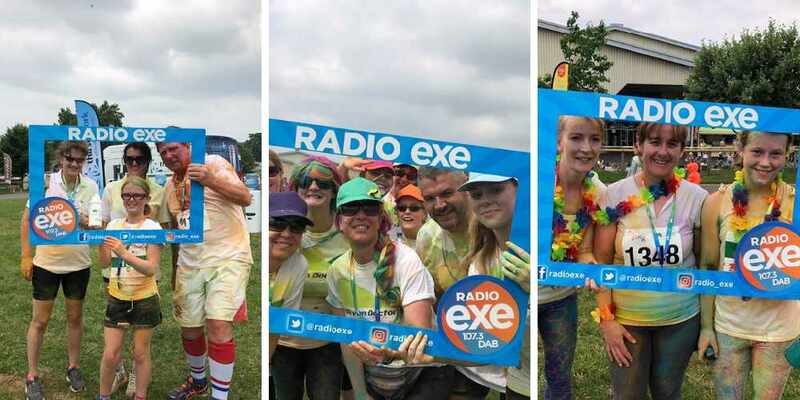 Join Radio Exe as we support Children’s Hospice South West at this crazily colourful event on Saturday, June 22 at Westpoint, near Exeter. 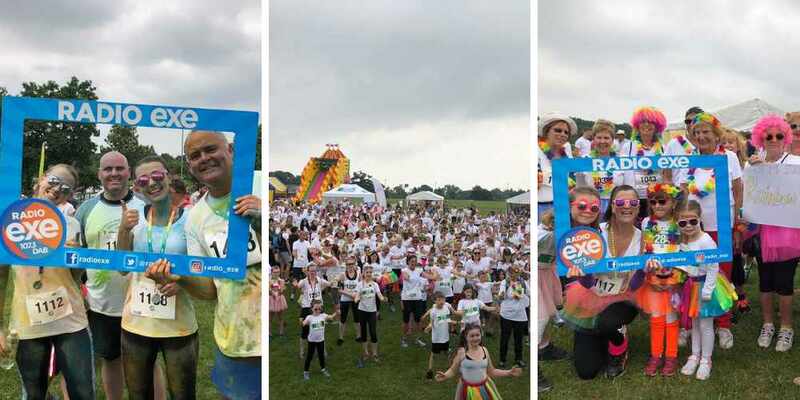 It’s the happiest, most colourful 5k around and a great way to support your local children’s hospice. Run, walk or jog through colourful bursts of powder paint. Anyone aged 5 years and over can join in, so gather your friends, family or work colleagues to enter the event of the summer! Turn up in your white T-shirt and leave with a big smile, happy memories and covered in every colour of the rainbow! It costs around £10million a year to run the charity’s three hospices each year and around 85% of that comes though fundraising. Entry covers your participation and by asking just a handful of people to sponsor you, you could raise £50 too. By raising money, you’ll be helping to make the most of short and precious lives for families of children with life-limited conditions across the South West. Early-bird sign up discounts are available! Admission prices – Full price Adults (16 years and older) £20; Child (5 years to 15 years) £12. Early bird Discounts available to 1 April 12noon! Registration fee covers the cost of participation in this event. Sponsorship will help support the vital work of CHSW. Opening times of the event– Event Village open from 11am. Warm up at 12.30pm. Run starts at 1pm.